After discovering the fun and deliciousness of zucchini noodles, this year I wanted to expand my repertoire. 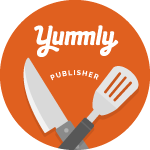 I’ve discovered a whole world of vegetables beyond zucchini that make a nice noodle – cucumbers, carrots, sweet potatoes, beets, turnips, butternut squash, and more. To make experimentation easier, I did finally invest in a spiralizer. I must admit it makes the task of making vegetables into noodles much easier. However, you can still make them with a hand peeler, grater or mandoline. 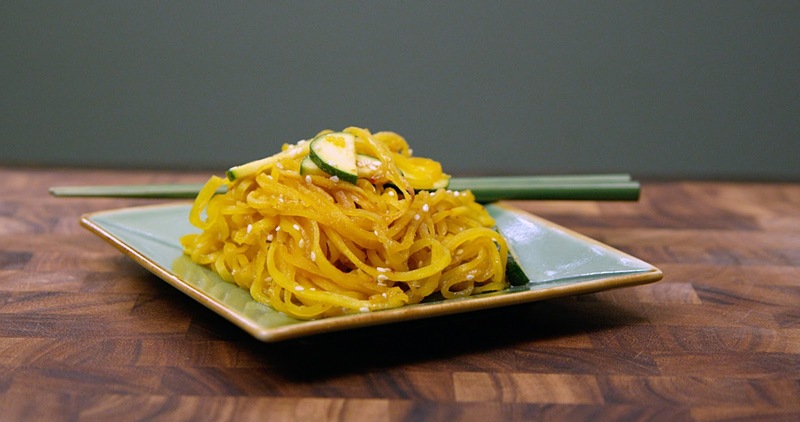 A Japanese soba noodle dish was the inspiration behind this vegetable noodle creation. For the faux noodles, I chose golden beets and turnips. I wanted vegetables that would not just be a spaghetti substitute, but that would also lend a flavor base to the dish. Earthy beets and spicy turnips paired well with the tangy, nutty and salty dressing. Even with a quick sauté in sesame oil, both vegetables held their noodle-form well. In a small bowl whisk together the garlic, tamari, rice wine vinegar and lime juice. Set aside. Thinly slice the zucchini and set aside. 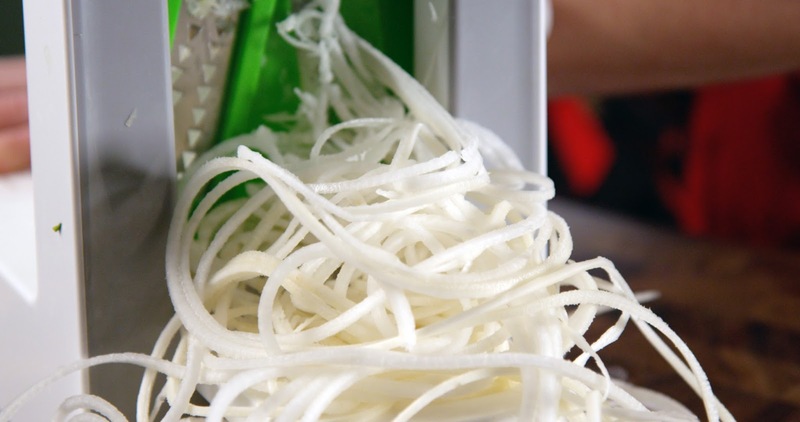 Using a mandoline, spiralizer or hand peeler, make the beet and turnip noodles. Heat a saute pan over medium heat. Pour in the sesame oil. Add in the vegetable noodles, saute for 2 minutes. then cover and let them cook for 5 minutes. Place cooked noodles into a large bowl. Sprinkle on the sesame seeds and crushed chili flakes. What are some of your favorite vegetables to make into noodles?